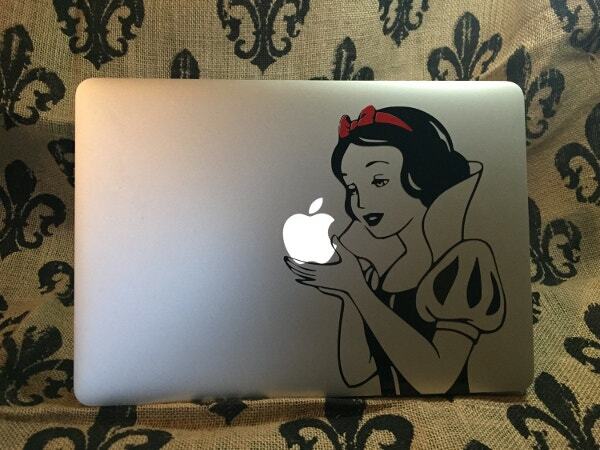 The Macbook is a high-end, elegantly designed laptop. 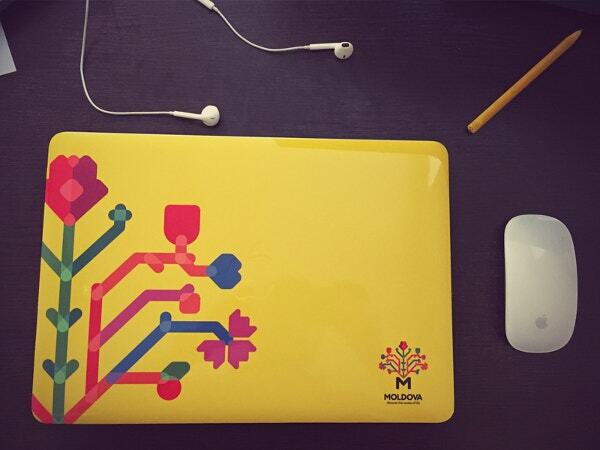 Stickers are great additions to your Macbook laptop. 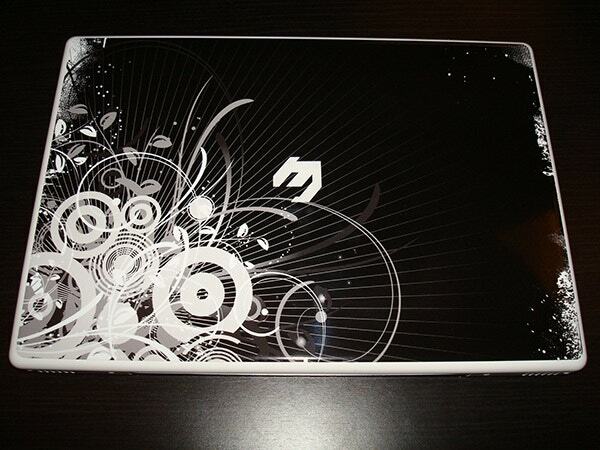 These Laptop Cover Designs come in a wide range of choices from music and movies to sports. 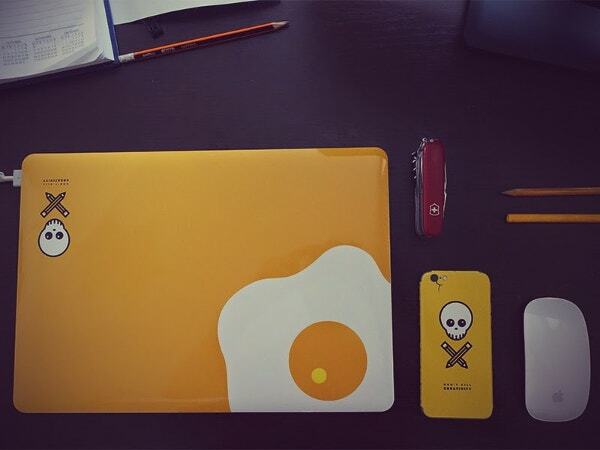 These are easy and hassle-free to apply and they render a unique and geeky look to your laptop. 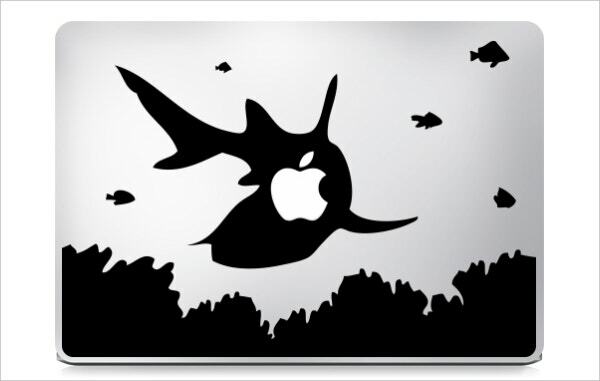 Here we feature a good collection of beautiful Macbook stickers for you to choose from. 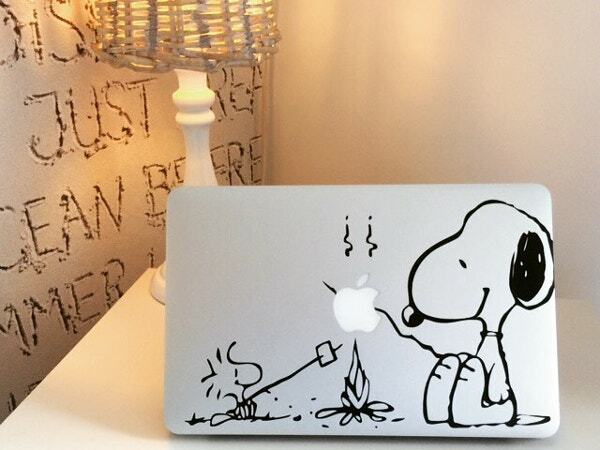 Make use of these to transform the way your Macbook looks! 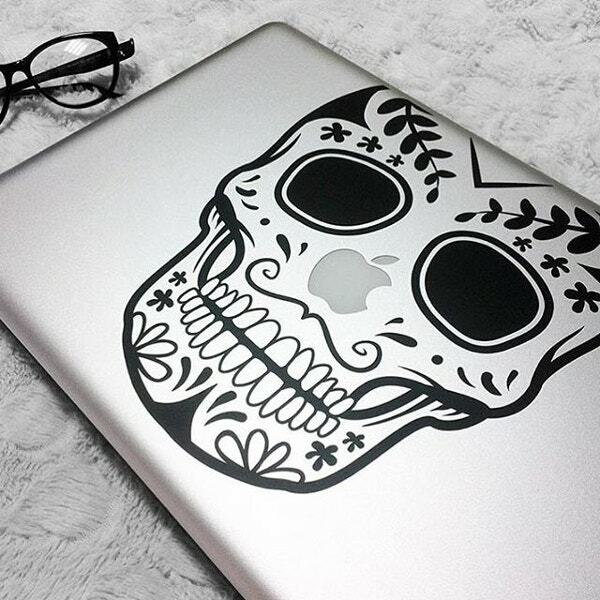 Here are 10 MacBook sticker templates. Each of these has two different logo variations. These have high resolution and organized layers. Their Mock-Up content can be replaced quickly and easily. 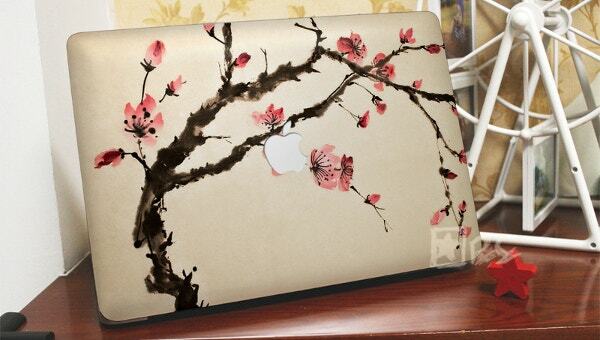 This beautiful handmade vinyl Macbook sticker has watercolored peach flowers on a branch. This handmade vinyl item is shipped all over the world from China. 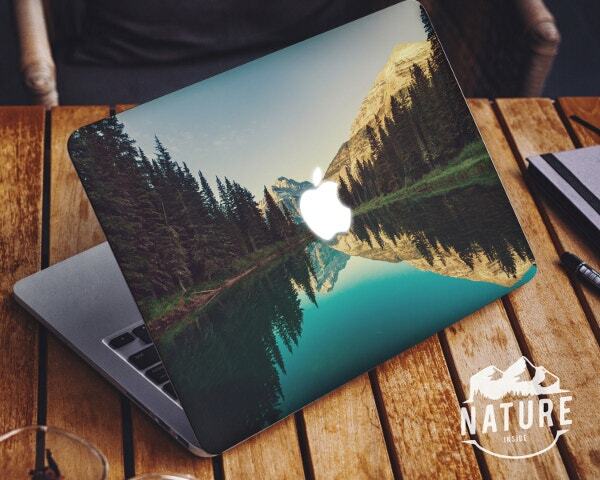 This is a high-quality vinyl sticker of a beautiful natural scenario of a river with adjacent mountain and pine trees. It costs $19. This handmade item is shipped worldwide from Latvia. 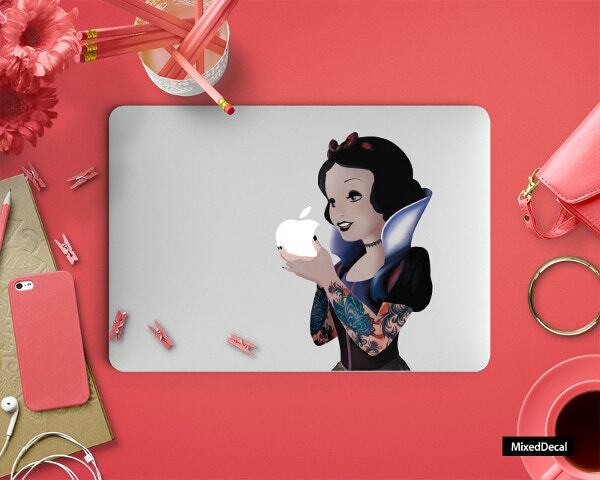 This beautiful girl sticker turns your Macbook into a work of art. It costs $8.99. This 100% waterproof item lasts 3-5 years. It is made of 0.03 mm thick. 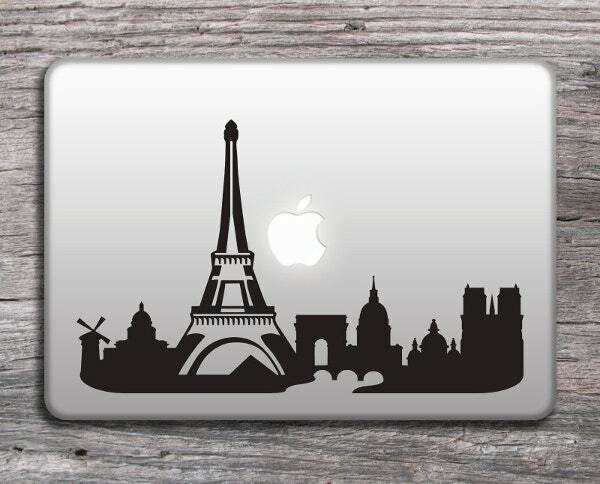 This Macbook vinyl sticker of Paris and Eiffel Tower Skyline costs $8.80. This handmade item is of high quality and is shipped all over the world from Bulgaria. 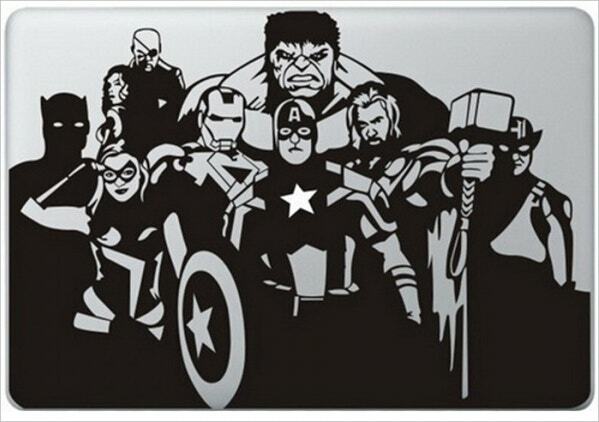 The avengers Macbook sticker is of the format 13×15 inches. It is available at a price of $12.99. This unique looking sticker will be loved by the Avengers movie fans. 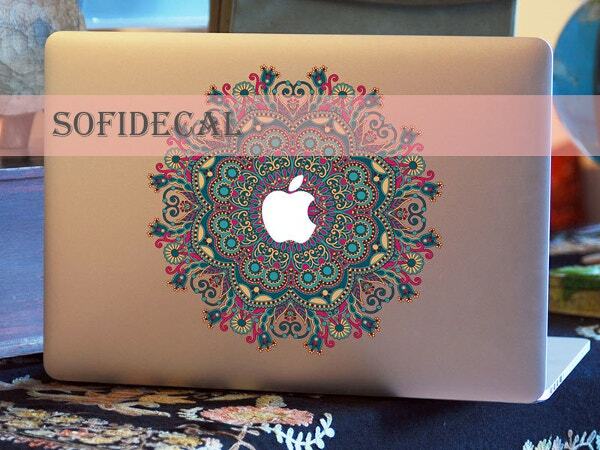 This beautiful printable Macbook sticker has colorful floral patterns on a yellow background. It is die-cut and made of vinyl. It is 13 inches in size. 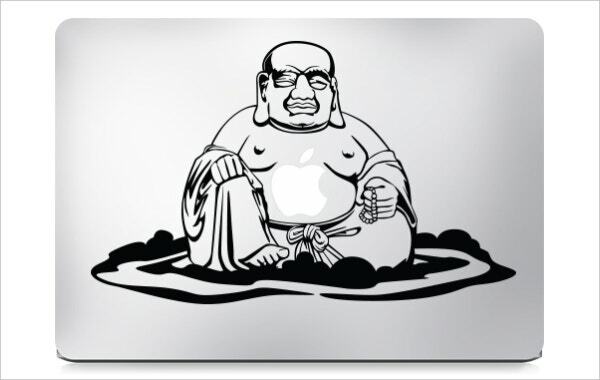 This is a cover design which can be used for Macbooks and mobiles. It has a nice yellow color and includes a danger signal with a skeleton and crossed pencils below it. 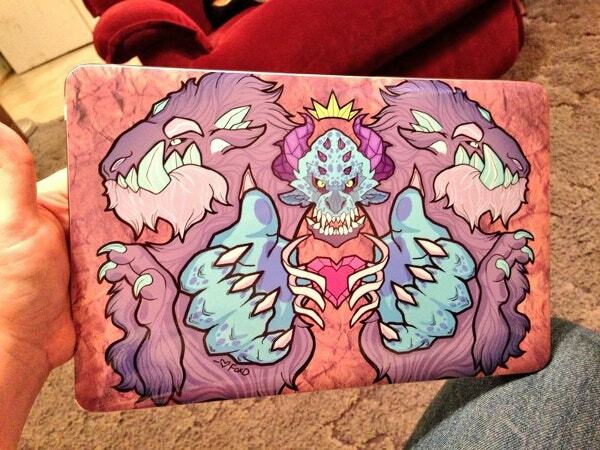 This Macbook cover sticker has a creative graphic design of monsters on a patterned red background. The colorful demonic images and creative patterns render a unique look to it. 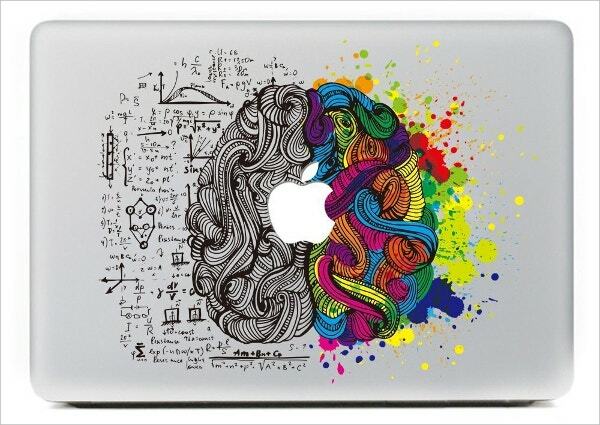 This creative vinyl Macbook sticker of Einstein’s left and right brain costs $8.99. It is waterproof, oilproof, and dustproof. It leaves no mark behind when removed. 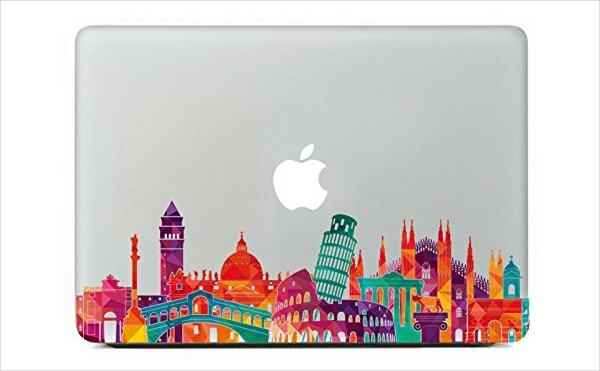 Priced at $9.99, this impressive looking colorful stickers bears pictures of Rome City Emblem, Roman Colosseum, Leaning Tower of Pisa, etc. It is ultra-thin, easy-to-apply, waterproof, dustproof, oilproof, and easy-to-remove. This flat UI color cheat sheet palette Macbook Sticker looks very attractive. This cost of this vinyl item is 5.5 (free shipping). It is waterproof, extremely durable, UV protected, well-cut, and repositionable. 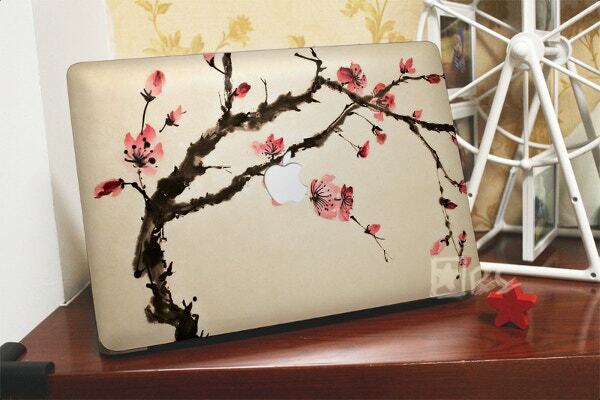 This colorful Floral Pattern Macbook sticker costs $11.60. It is super-thin, waterproof, easy-to-apply, and cleanly removable. 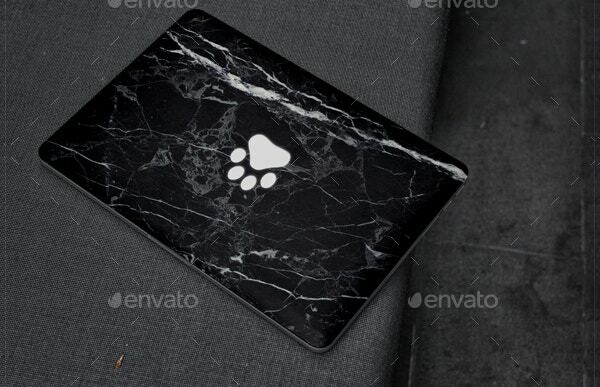 It has precision cutting and ultra high-quality printing. It is shipped from China. 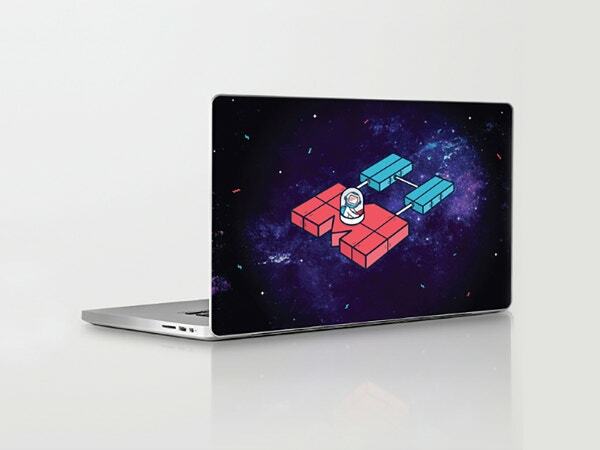 This Science Fiction Macbook sticker has a picture of a spaceship with an astronaut. It has been designed by the graphic designer Tatiana Van Campenhout from Washington, DC. 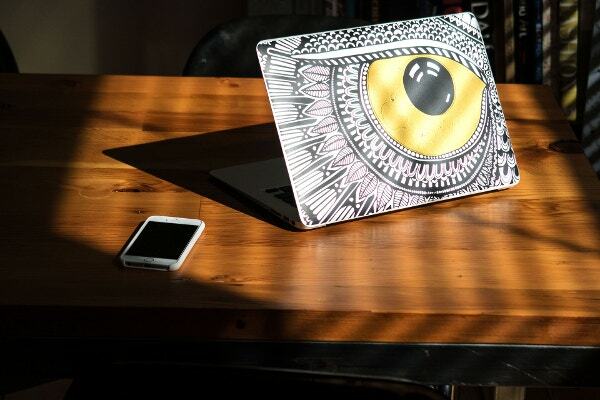 Macbook stickers not only render a new and unique look to your laptop but also protect your laptop cover from dust, oil, water, and other foreign elements. Apart from our list, you get a wide range of cover designs to choose from the net. 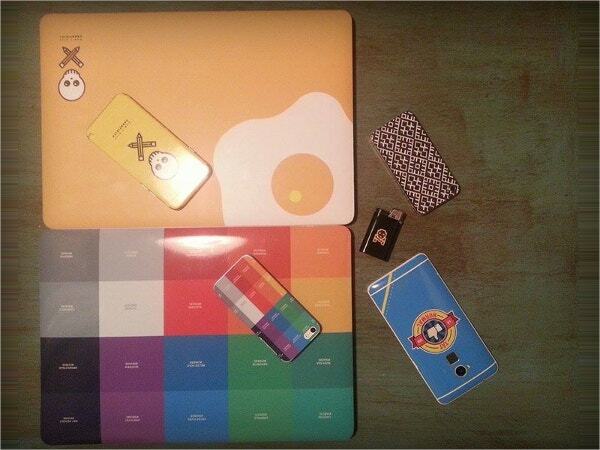 There are also Mobilephone cover designs, Ipad Stickers, etc available. You can keep abreast with today’s trend by using those.